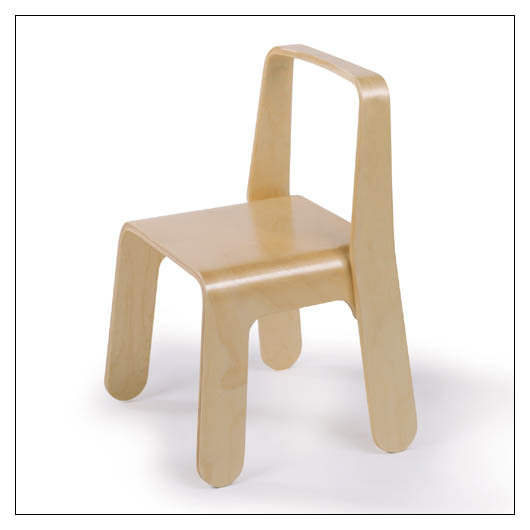 Look-Me Chairs (LOOKCHA) at Pure Design Kids / Seating / Chairs ::: Kids' Toys, Furniture and More at Pure Design Kids! A perfect companion to the Chalkboard Table. This chair is a playful expression in molded ply with a back that doubles as a handle for easy transport. This chair is lightweight and extremely durable, allowing for years of abuse by little people.